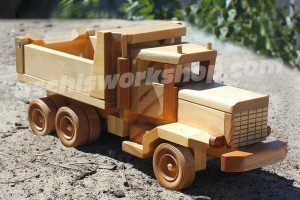 This Cab over Engine classic is ready for your handywork! 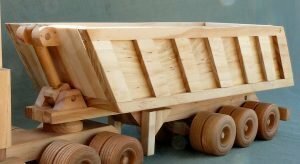 Nearly 12 inch (30cm) long, it is easy to build and can bee hooked up top any of the 1:27 Scale semi-trailers found on Aschi’s Workshop. 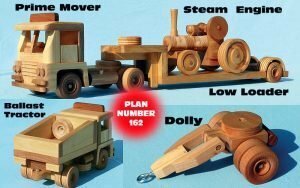 Plan# 179 Scale Model Series 1:27 American C.O.E. 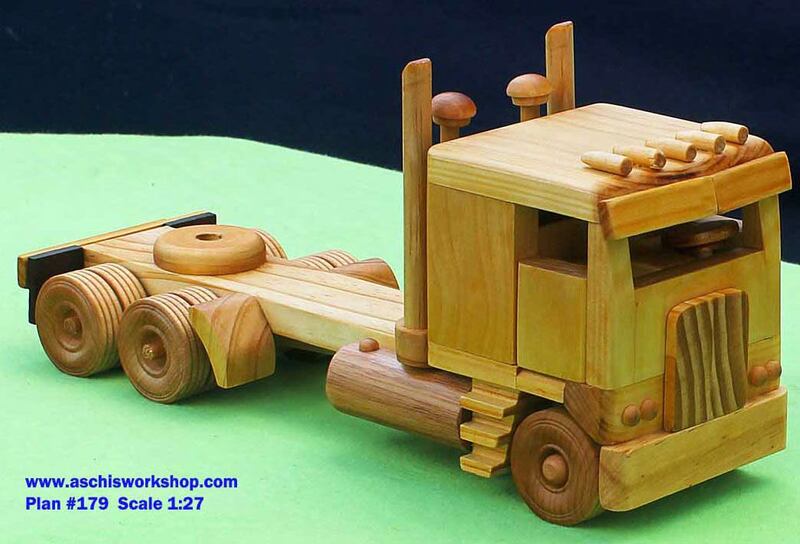 Long Frame Tractor. 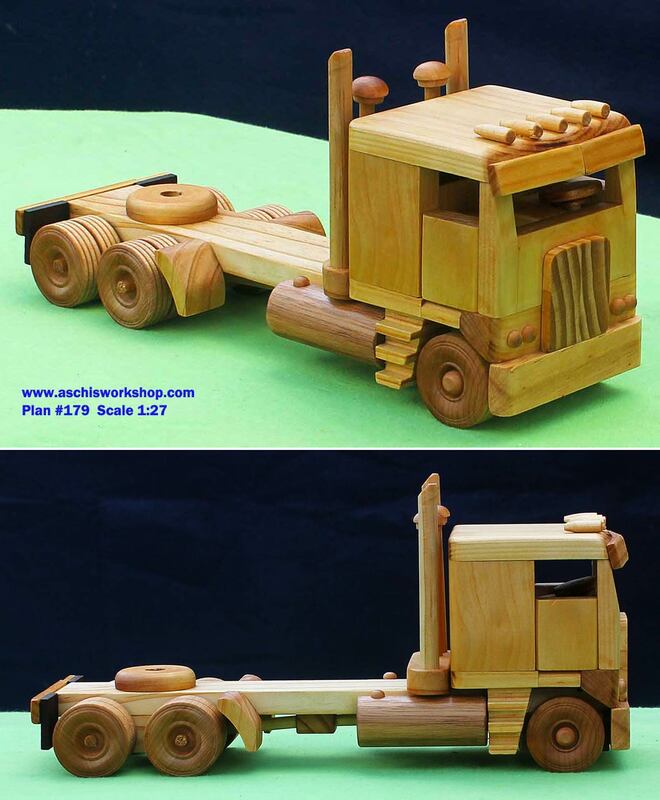 This fantastic truck is something quite special on the highway. A true scale model, with authentic lines and details, this C.O.E. 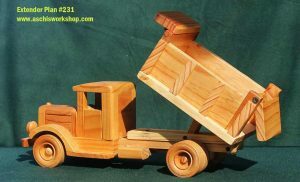 beauty will enhance any collection or build strong as a child’s toy that will last for generations. 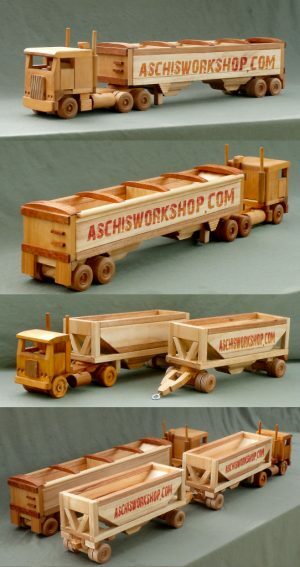 Nearly 12 inch (30cm) long, it is easy to build and can bee hooked up top any of the 1:27 Scale semi-trailers found on Aschi’s Workshop. 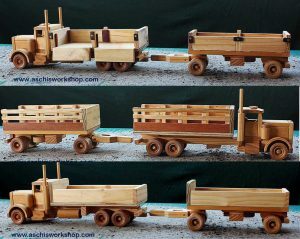 Plan# 171 Scale Model Series 1:27 3 Cab Over Road Tractors / Prime Movers with 3 different Sleeper cabins. 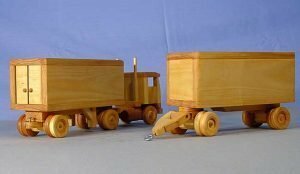 Plan# 137 Scale 1:27 Dry Van Trailers with double opening doors, hook up to all of our single diff Road Tractors (Tractor plans sold separately). 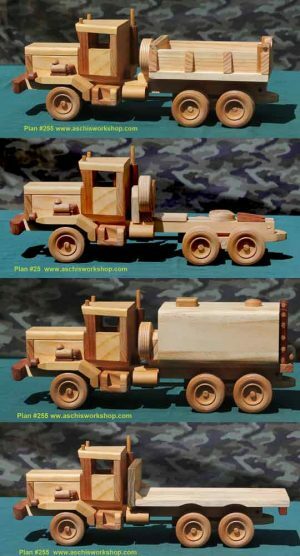 Plan# 307 Scale 1:20 -TUFF TRUCK Conversion VALUE PLAN! 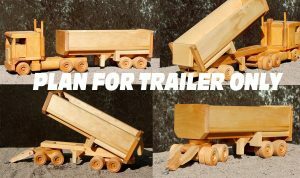 Converts our standard Flat Bed Truck and Trailer (Plan #207 to be purchased separately) into three NEW & different styles.